SPOILER ALERT: It is neither Tank nor Dozer. If you're a fan of movies that are light on plot and extremely heavy on people being shot in the face repeatedly, you couldn't do much better than John Wick. Starring Keanu Reeves in his most silent, stoic, Keanu Reeves-y role since The Matrix, John Wick was one of those straightforward, popcorn action flicks that found a way to be far more entertaining than it had any right to be. In an added bonus, it also killed at the box office, raking in close to $90 million on a $20 million dollar budget, which according to the bylaws of Hollywood, warrants not only an immediate sequel, but three back-to-back sequels, a TV show, a spinoff, and an immediate reboot. 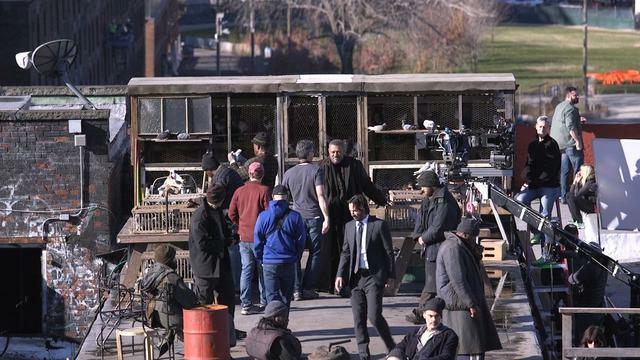 While time will only tell just how far Reeves can carry the John Wick franchise, the sequel to last year's sleeper hit did begin filming back in November. Bringing back Ian McShane and Bridget Moynahan from the first film and adding Ruby Rose, Common, and Peter Stormare to the ranks, there's no doubt that John Wick 2 will be bigger, badder, and bloodier than the first one. Of course, there are still some elements of John Wick 2 that its filmmakers are trying to keep a secret -- specifically, a cameo that reunites Reeves with a familiar face from his past. 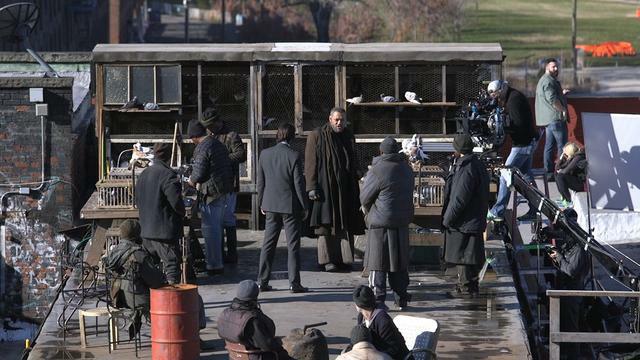 Matrix fans rejoice, because Morpheus himself, Laurence Fishburne, will apparently be making a cameo in the much-hyped John Wick sequel. 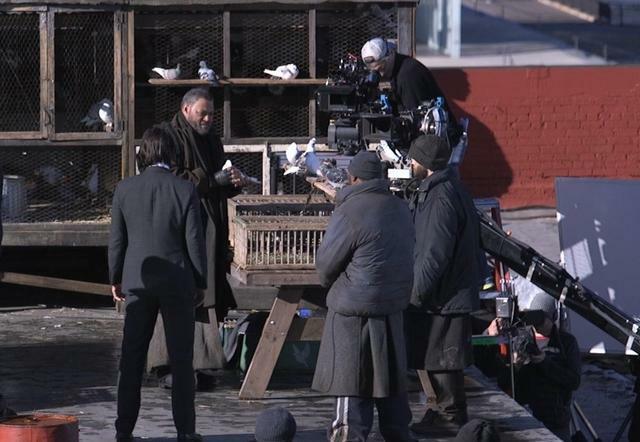 Fishburne was captured on set by Gothamist photographer Jessica Leibowitz earlier this week, looking less like Reeves' all-knowing mentor and more like a crazy, pigeon-loving homeless person, but hey, it's still a reunion, dammit! In all reality, it's not shocking to see another former Matrix castmember getting involved in the John Wick saga, considering the talent behind it. John Wick 2 is being directed by Chad Stahelski, a former stunt double for Reeves on the first Matrix and a stunt coordinator on both of the sequels. 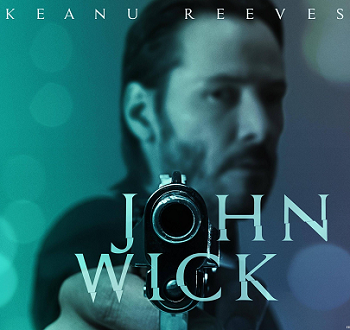 The first John Wick was directed by David Leitch, who also did stunt work on The Matrix Reloaded and The Matrix Revolutions and will be helping produce the sequel. Why Joe Pantoliano is nowhere to be found is anyone's guess. 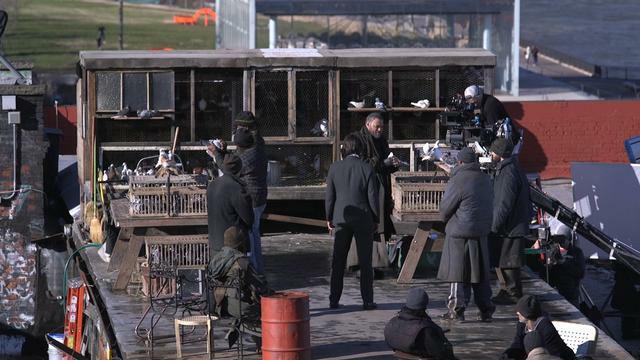 John Wick 2 is tentatively scheduled for a 2016 release, but the important question is: With both Neo and Morpheus taking part, how high of a body count can we realistically expect to see? Three, four hundred people?